Charles Olfert possesses over 36 years of experience in planning and designing residential, community, recreational, institutional, and healthcare buildings. His clients include community centres, school districts, First Nations communities, non-profit organizations municipalities, and federal governments. As a principal in the firm, Charles is recognized for his ability to lead and manage numerous multi-partner projects that aodbt has been involved in. Charles brings an innovative and forward-thinking approach that will push the project’s creative boundaries. 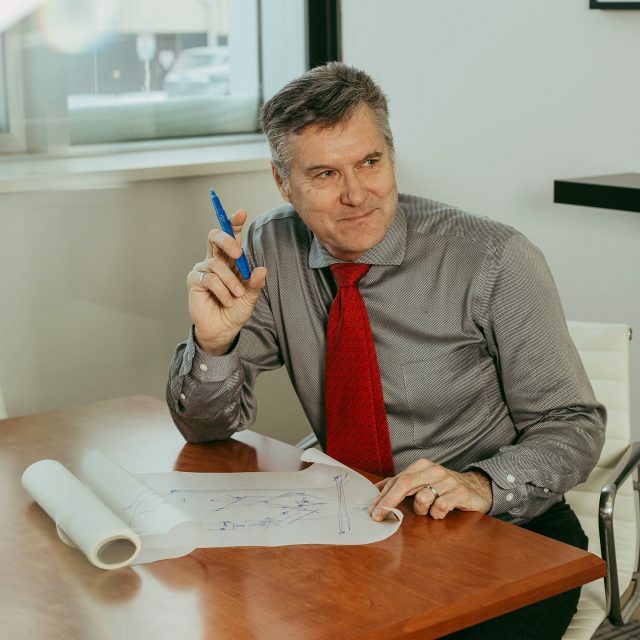 Charles has led the design team in the planning and design of various housing and mixed-use development projects as well as a number of seniors’ housing communities that focus on the notion of continuum of care. Charles is currently a member of the RAIC Age Friendly Housing Options Task Force and has engaged to speak at the renowned Environments for Aging (EFA) Conference & Expo Las Vegas, Nevada in February 2017. Charles is an adjudicator for the AGE-WELL Catalyst Funding Program.